According to the OSHA standard (29 CFR 1910.147), a confined space, by design, has limited openings for entry and exit; has unfavorable natural ventilation which could contain or produce dangerous air contaminants; is not intended for continuous employee occupancy; and is large enough and so configured that an employee can enter bodily and perform work. The Standard also includes the hazards of engulfment and entrapment. Rathmann Grant Process: An Unusual Experience for USCC Runners Up! 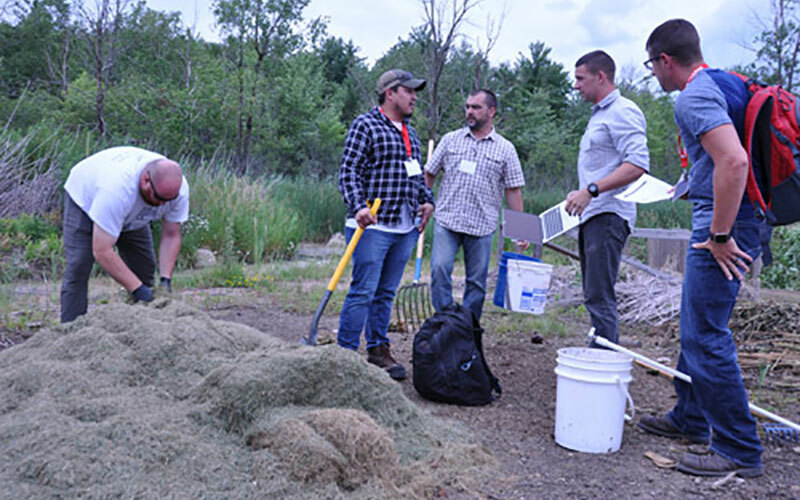 A state-of-the-art biosolids composting facility; a student-run compost operation serving a mid-size city; and a massive project using compost to grow potatoes, beans and peas in the sandy soils of the Midwest – all USCC member projects – received honorable mention in the 2017 Rathmann Challenge: Mitigating Climate Change by Expanding the Use of Compost. The USCC sat down with Michael Robinson of Rust Belt Riders in Cleveland, OH, an early leader in the community composting sector and a USCC Bronze member. We discussed the emergence of the movement and business model across the USA in the past decade.